I was lucky enough to snag this palette from my local Sephora store in Canada. FYI, The colours are gorgeous! I was running low on one of my favourite blushes (Josie Maran’s blush in “Blossom”) and heard about this NARS palette so I decided to give it a try. What is this palette all about? This palette has a $107 value and you get six blushes consisting of 0.12 oz each. One regular NARS blush is 0.16 oz. 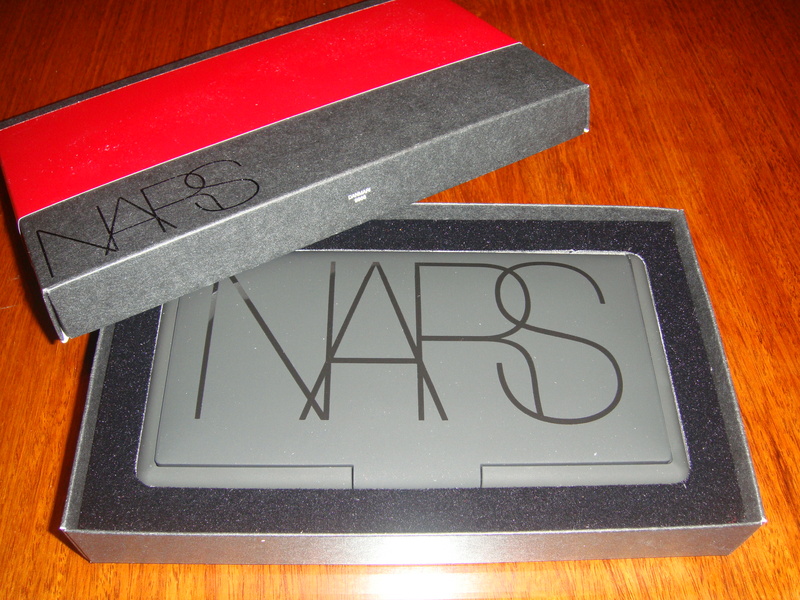 I hadn’t previously purchased a NARS blush before (though I’ve heard so many great reviews on them) and thought this palette would be a good chance to try more than just one. 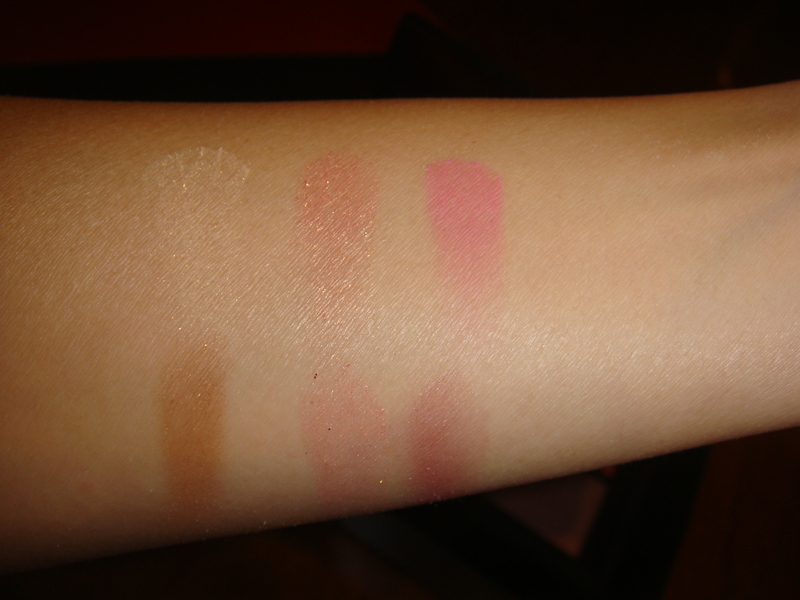 You receive a highlighting blush, a bronzer & 4 blushes ranging from a berry mauve to shocking pink. The colours are all very shimmery; if you don’t like shimmer, you may not enjoy this palette. 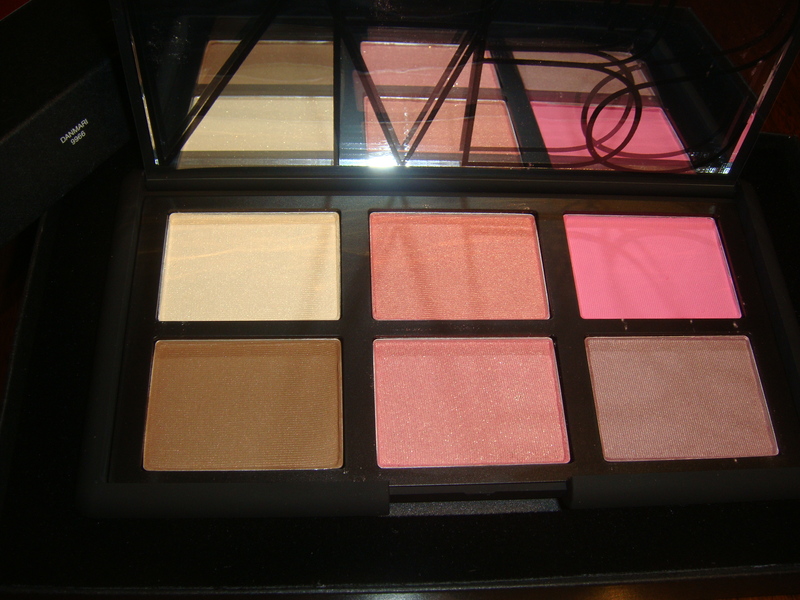 Keep in mind, this palette is based on make-up for “theatre performance,” thus the shimmery, bright shades.